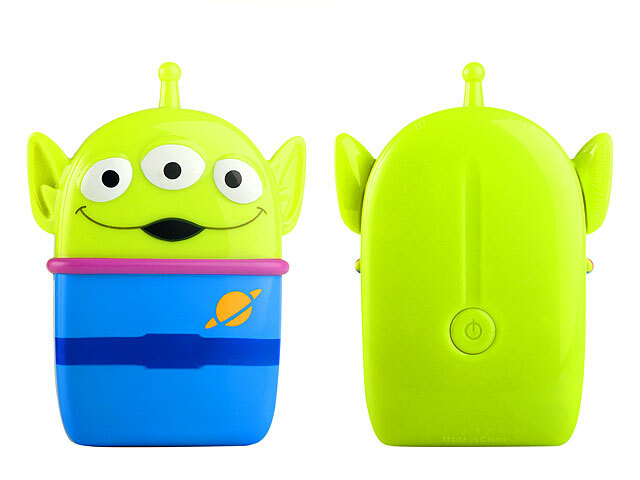 3D Alien Portable Power Bank (5000mAh) is designed 3D Alien shape. 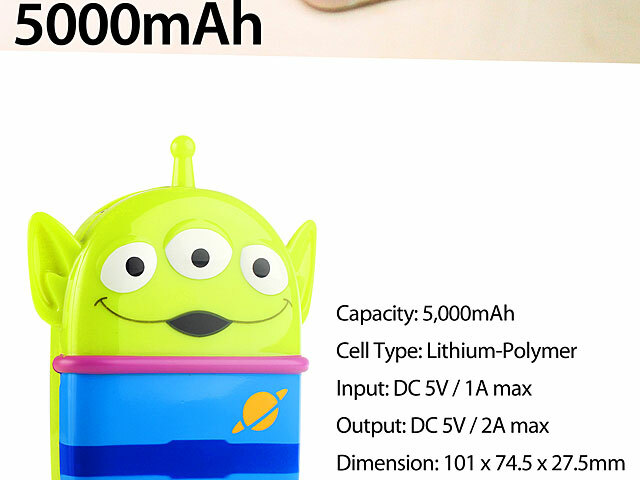 Built-in 5,000mAh high capacity lithium-polymer battery extends the battery life of your mobile device. 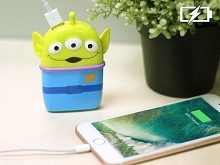 Works with most Smartphone, Tablet and USB enable devices. Convenient and efficient. Toy Story Alien Fans cannot miss this.